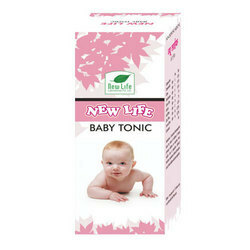 New Life Baby Tonic or Children Health Tonic is a balanced homeopathic tonic for infant & children. 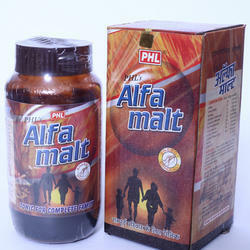 It is recommended as a restorative tonic for children, promotes growth, increase appetite. INDICATIONS: Formuated to cure contant irrtabilty in children. Also benfitial in infantile colic and dentition problem, Gripe, Flatulance and Acidity COMPOSITION: Colocnythis 30, Mag. Phos. 6, Senna 30, Anise 6, 20% each, Caramal Colour used. Used Syrup Base. Matching up with the requirements of our clients, we are involved in offering Women's Health Tonic. Baby Tone up is the best Homoeopathic tonic for infants and children. Specially indicated in poor mental and physical growth, delayed ossification of the long and cranial bones, Rickets. Osteomalasia, late denition, Marasmus, Sluggish liver function, Diarrohea, Vitamins deficiency and worms. Stimulates growth, improves appetite, digestion and metabolism.